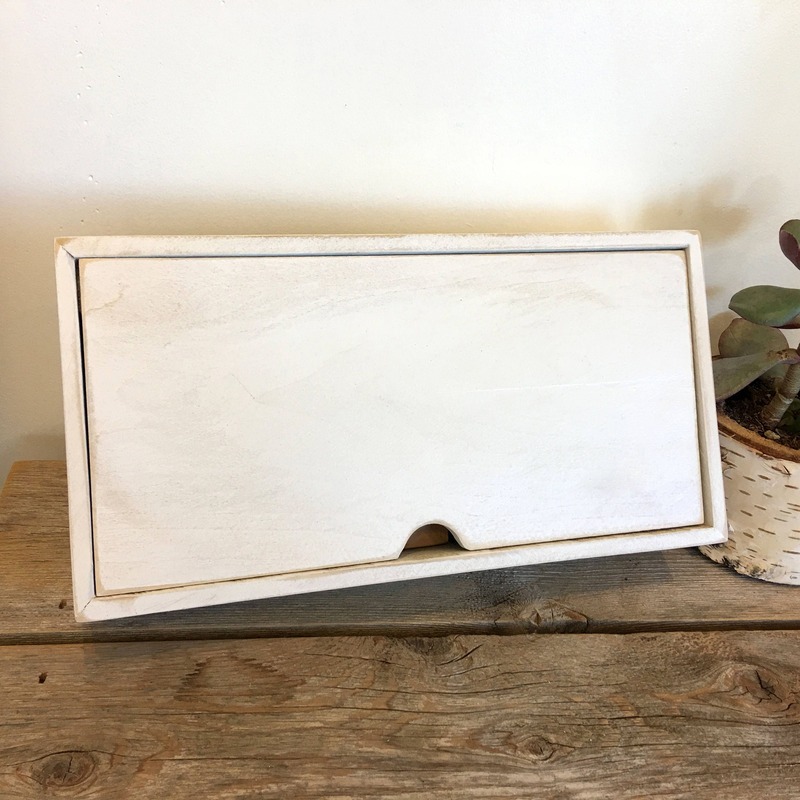 This cute and sturdy, reusable solid wood gift box is constructed of rough-sawn poplar in a glass-smooth vintage finish color of your choice. 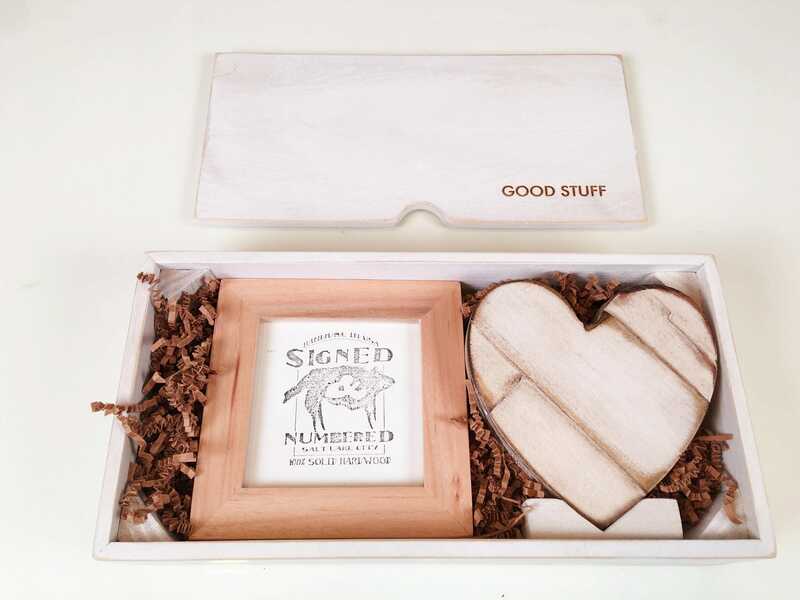 It makes an excellent wedding gift for the couple or graduation present to be filled with your own special items. 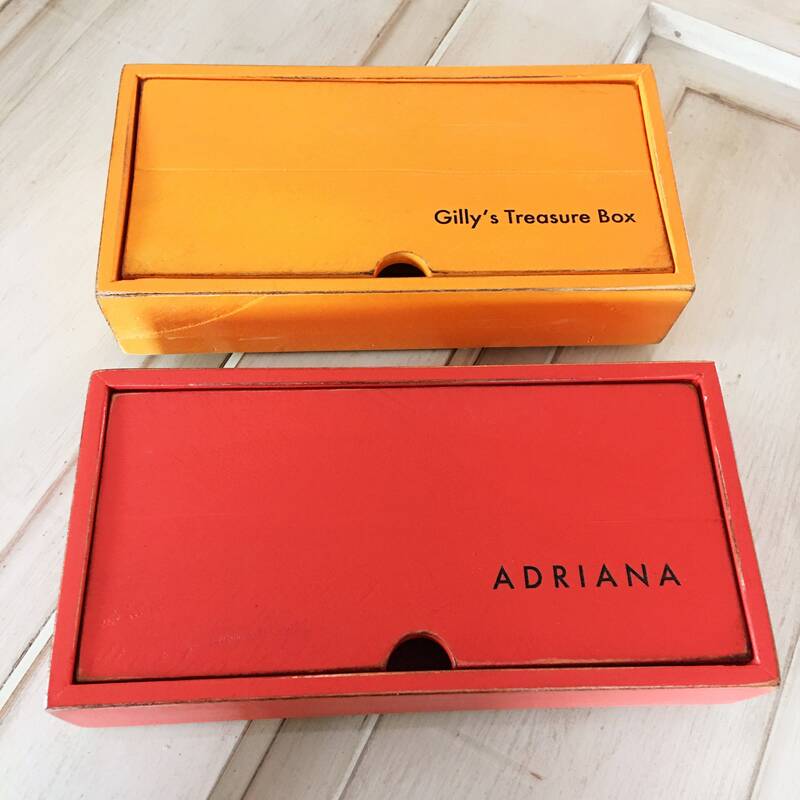 And once the gift is given, the versatile wooden box can be used to store photos, letters, colored pencils or other treasures. 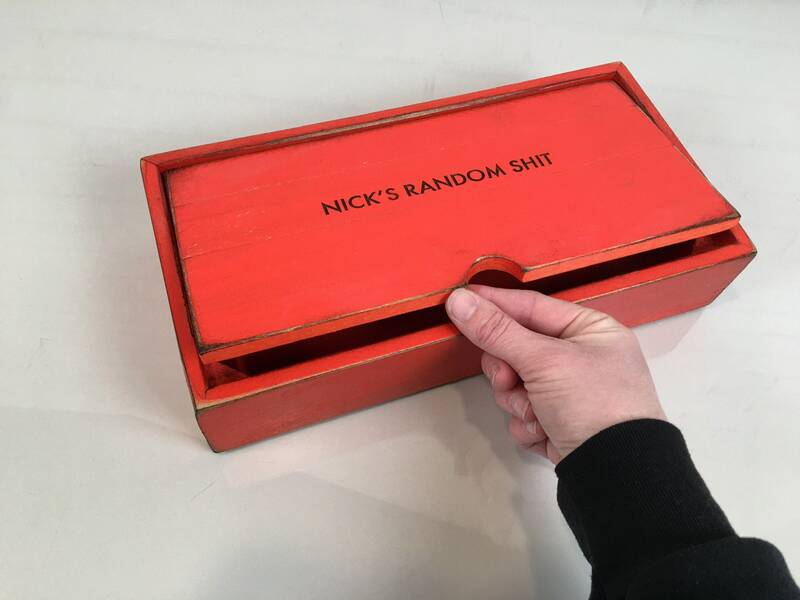 *Example boxes are shown in DEEP ORANGE, WHITE WASH, RED and ORANGE. **Engraving is an additional $3 per line. You can add names, an important date, an inside joke and more. Send us a convo if you have questions about the engraving or if you would like to see a mock up of the design beforehand. 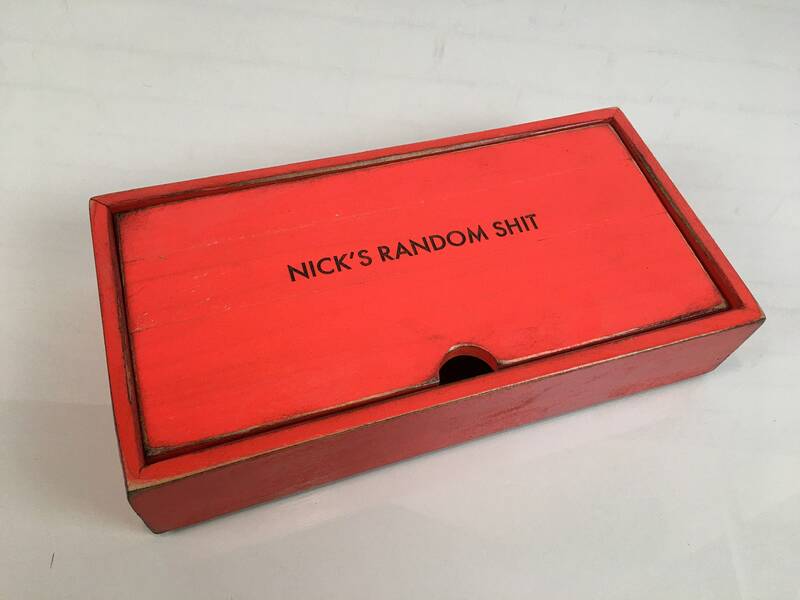 Please include engraving details in the note to seller at checkout exactly how you would like the text to appear on your box (capitalization, punctuation, etc.). 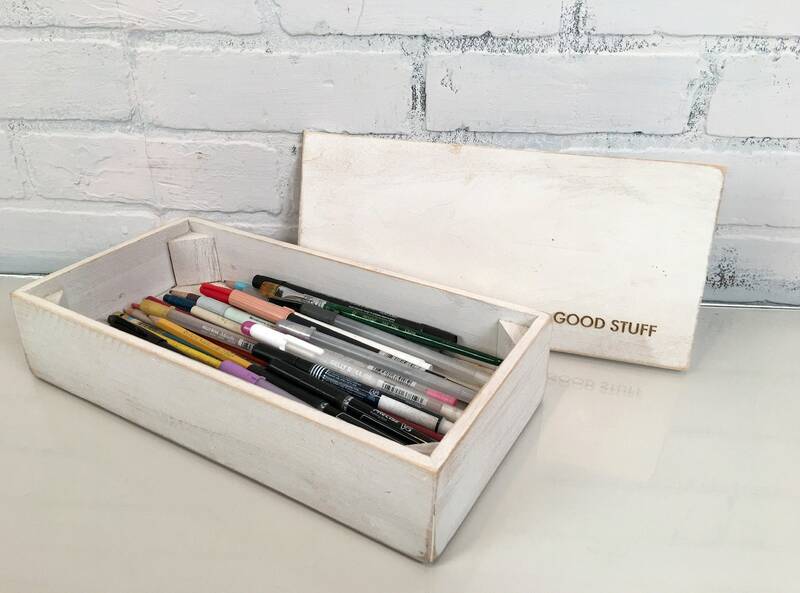 This box works great as desktop storage for letters, writing utensils, paintbrushes and more. 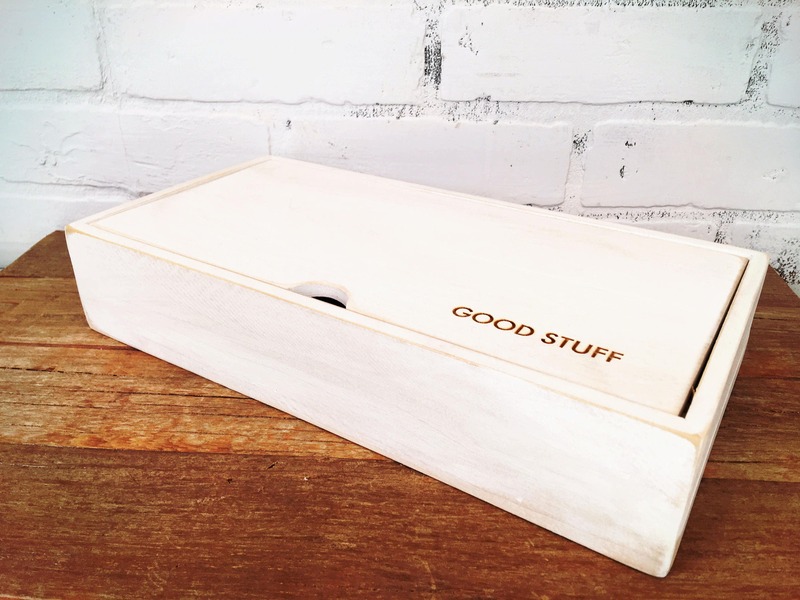 We take pride in the fact that our items are built using environmentally-friendly materials. The lumber we use for our designs is mostly Poplar and some Alder, both species of trees are fast-growing and replenish themselves quickly. 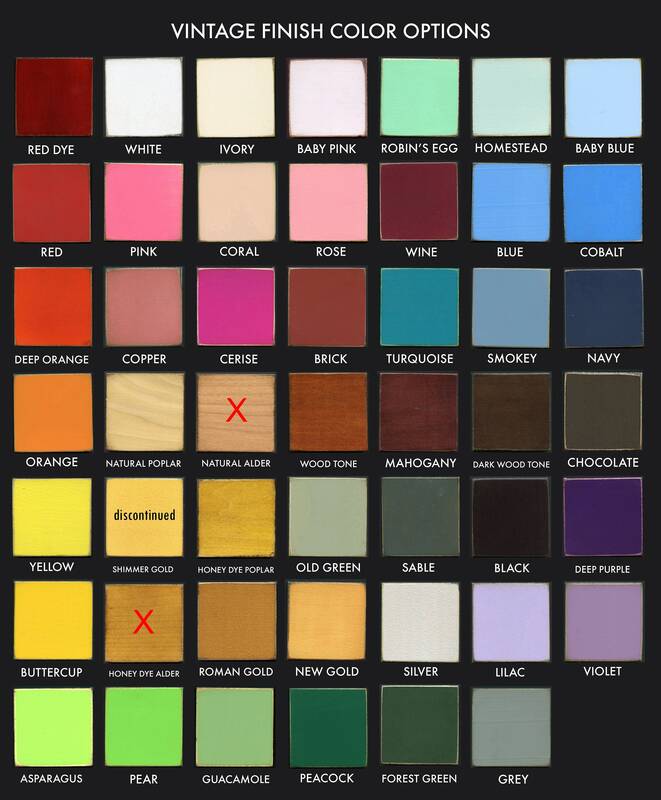 Also, our finishes are created using high-grade water-based lacquers and either very low or zero V.O.C. paints. 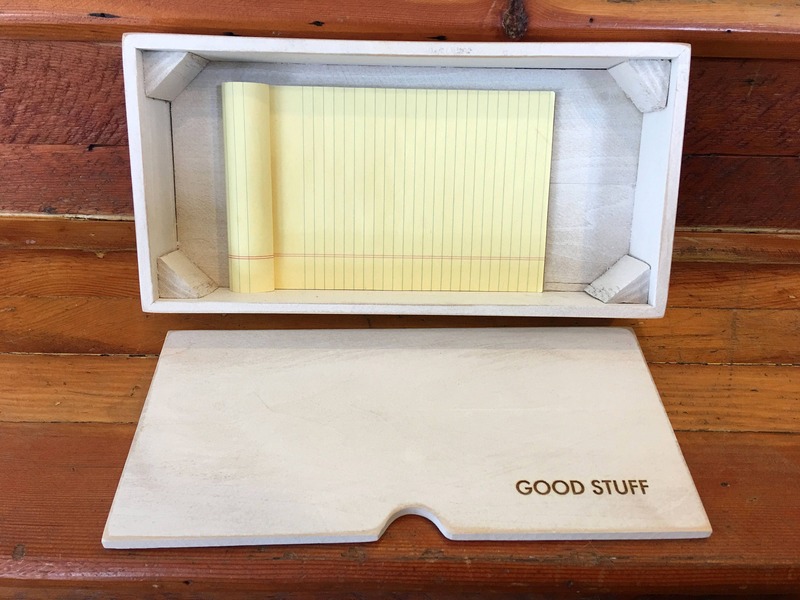 In addition to being environmentally-friendly, our items are good looking, very sturdy and feature a "glass smooth" finish.